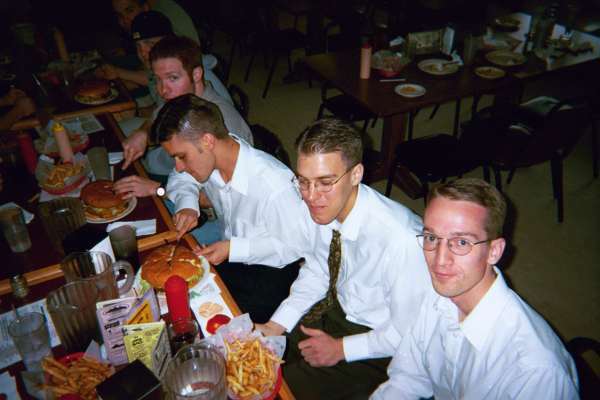 On April 7, 2001, a reunion was held in Rexburg, Idaho for the missionaries in the Rexburg area. Many of these missionaries are not able to attend the reunion the week before in Salt Lake City. The location of the reunions was Big Juds Country Diner located south of Rexburg in Archer. Click here to learn about Big Juds. 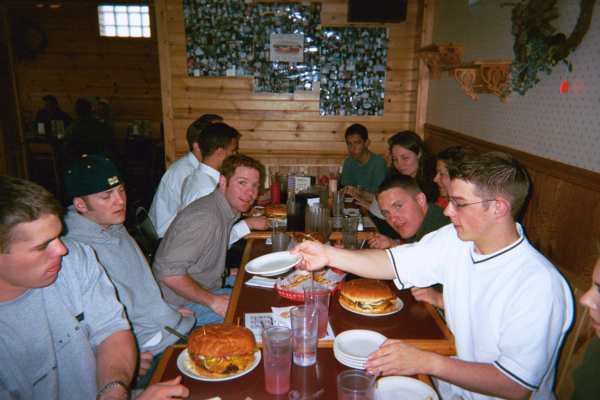 Erik Cornelsen prepares to devour a Big Jud´s hamberger while two friends and Drew Cutler look on. Ian Olson, his sister, Brian Francis, Andrew Boyce, Nathan Schanz, Michael West, and Shane Bassett eagerly await the snapping of the picture so they can dive in. A close up of Brian Francis, Andrew Boyce, Nathan Schanze, and Michael West dividing up a Big Jud´s hamberger. 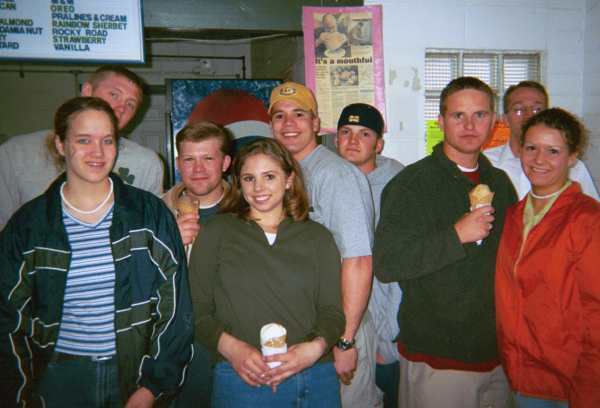 Pausing for a final parting moment after diner to enjoy the ice cream are Ian Olsen and his sister, Shane Bassett, Brian Francis, Andrew Boyce, Nathan Schanze, and Erik Cornelson along with friends.